You’ve reached your goal of becoming a C-level executive in your company. Now it’s time to reward yourself. Your personal executive office should resonate success, reflect your personality, and set you up to be a productive, creative, and strong leader. At StrongProject, we’re dedicated to co-creating the perfect space with our clients—and our luxury furniture collections are perfect for any executive space. Here are some of our favorite furniture offerings that together create the perfect C-level suite. Your executive desk is where you’ll be making important decisions, conducting strategic meetings, and completing projects on a daily basis. It’s the focal point of your office, so it’s imperative that you choose an executive office desk that’s stylish, durable, and suitable for your workday needs. 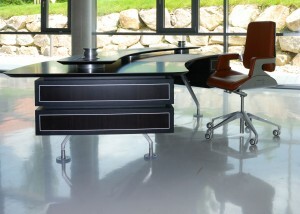 Our contemporary executive office desks are made from the finest quality materials from around the world. Whether you admire the elegance of Italian design, the sleekness of contemporary glass tabletops, or the simplicity of handcrafted white office desks; we offer options for every personality and taste. 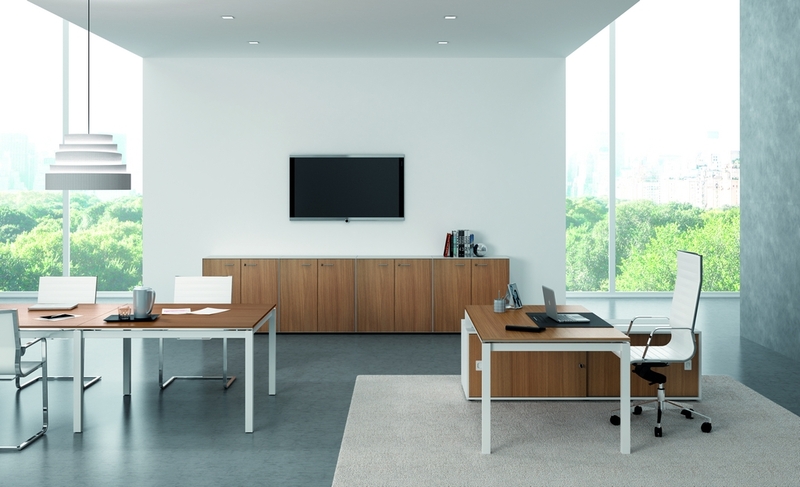 Pick a desk layout and design that fits your work style. Do you need a lot of space to spread out your work, or do you prefer to have a smaller desk that fits snugly in the corner? Choosing the right desk is imperative to your success, so make sure you explore all of our options and find the one that suits you and your preferences appropriately. Not only do we offer a wide selection of luxury executive desks, but we also have an exclusive collection of adjustable height desks as well. Studies have shown that adding an adjustable height desk to your workspace will greatly improve your focus, productivity, and innovation. By giving you the option of sitting down behind the desk, or standing up to get your work accomplished, adjustable height desks provide you with a versatile workspace and long-term health benefits, too. Ergonomic furniture helps improve the body’s circulation, improves brain function and activity, and relieves muscle strain. 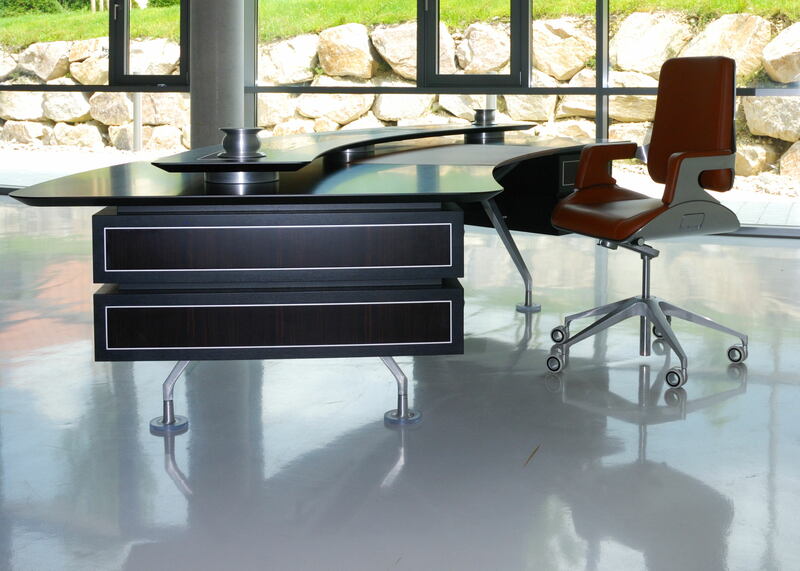 Being sedentary for many hours can be detrimental to your health and the quality of your work, so we recommend choosing a contemporary adjustable height desk as the focal point of your executive suite. Our modern executive office chairs fit seamlessly in every C-level office. 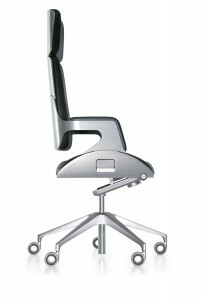 Your office chair should be chic, well crafted, and ergonomically designed. 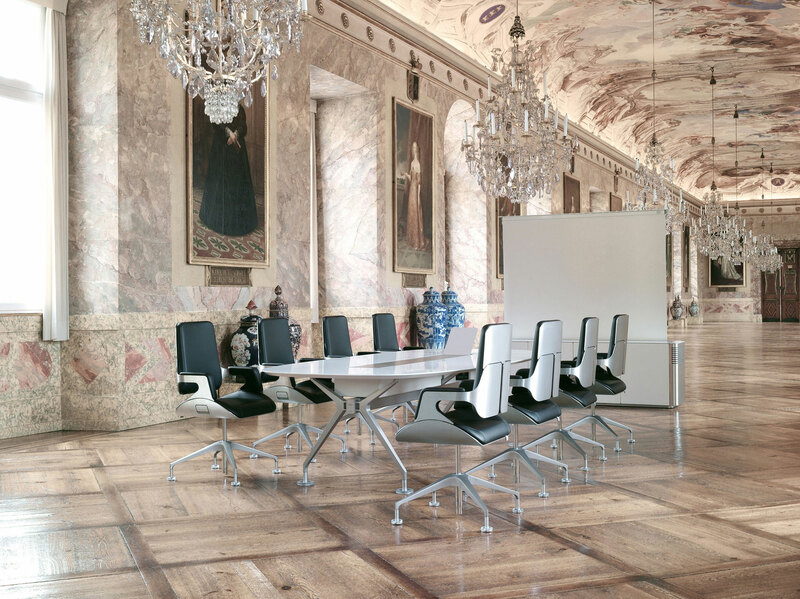 Our collection of executive office chairs are sharp and confident while supporting you throughout your busy workday. If you prefer clean lines and simple color schemes, we have an extensive collection of black and white modern office chairs. To add a touch of color and energy, consider adding one of our more colorful, fun office chair designs to your space. 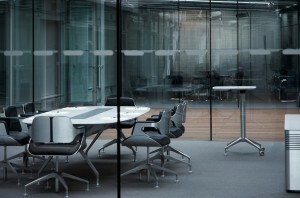 Your private office deserves the highest quality design that shows everyone who’s the boss. Show off your leadership in comfort and panache. It’s time to throw out your old filing cabinets and try something new. We have the latest, most innovative modern storage and filing options available that work with any contemporary office suite design. Whether you need to keep sensitive files and documents safe, or you want to keep all of your belongings out of sight during your workday, our modern filing and storage cabinets are a smart solution for your personal office. 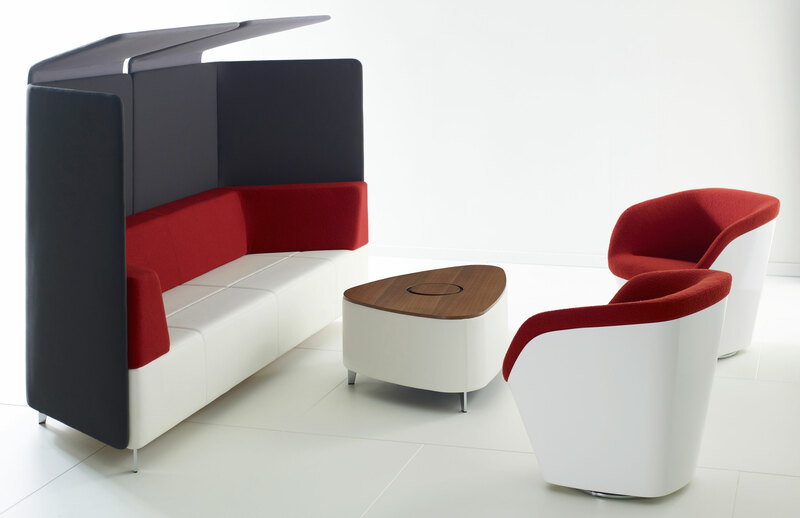 With our modern storage systems, you can optimize your space and create flexible, personalized work areas. Our lateral and vertical filing cabinets are perfect for filing documents and storing personal items. 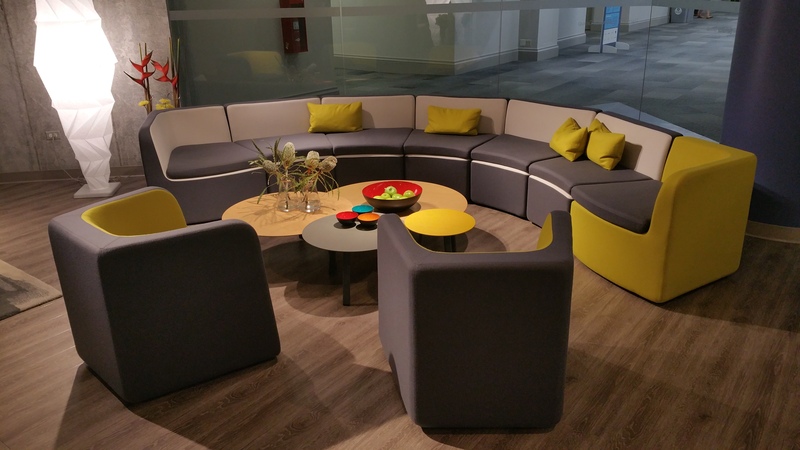 Filing islands can be used for meetings, sorting areas, or strategic planning sessions. You can even add entire filing walls to your space that dramatically increase and optimize your office real estate and keep your documents and files organized and secure. 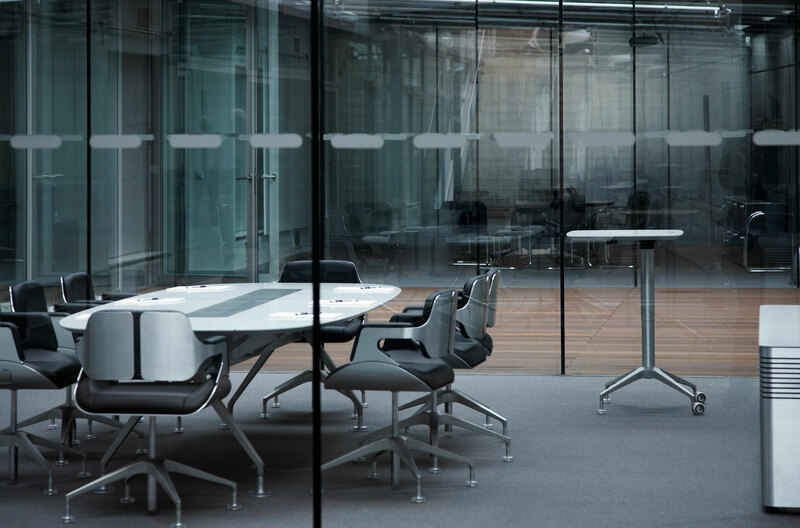 If you’re looking to completely redesign your C-level suite from top to bottom, we have customizable furniture options to turn your dream office design into reality. With one-of-a-kind workstations, handcrafted modern office desks, customized office chairs, and more; our furniture collections can be modified to fit your personal workspace needs and preferences. Your executive suite should set you apart from the rest of your team. You’ve worked hard to get to this level, so you deserve to work in an office space that’s entirely yours. 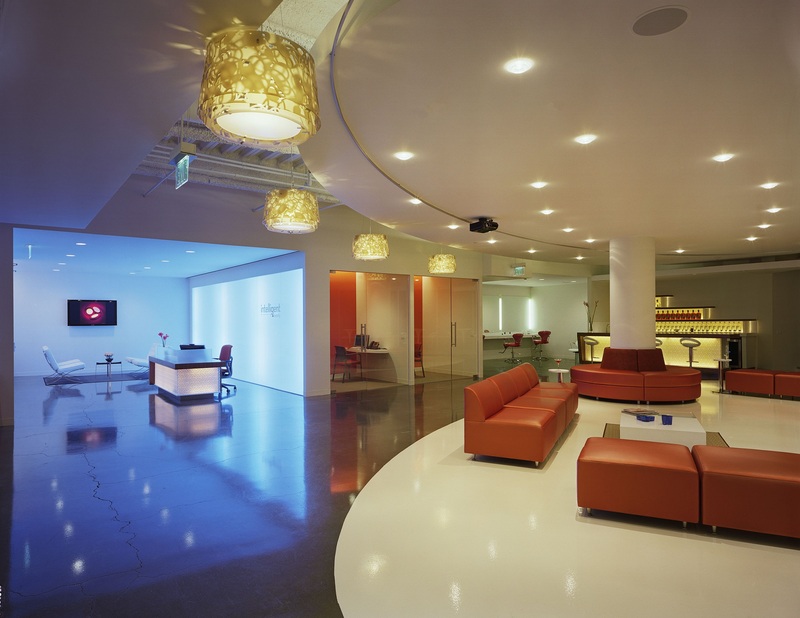 Together we can create a unique office interior that exceeds your expectations. Looking to create your perfect C-level suite? Check out our entire collection of luxury modern office furniture.